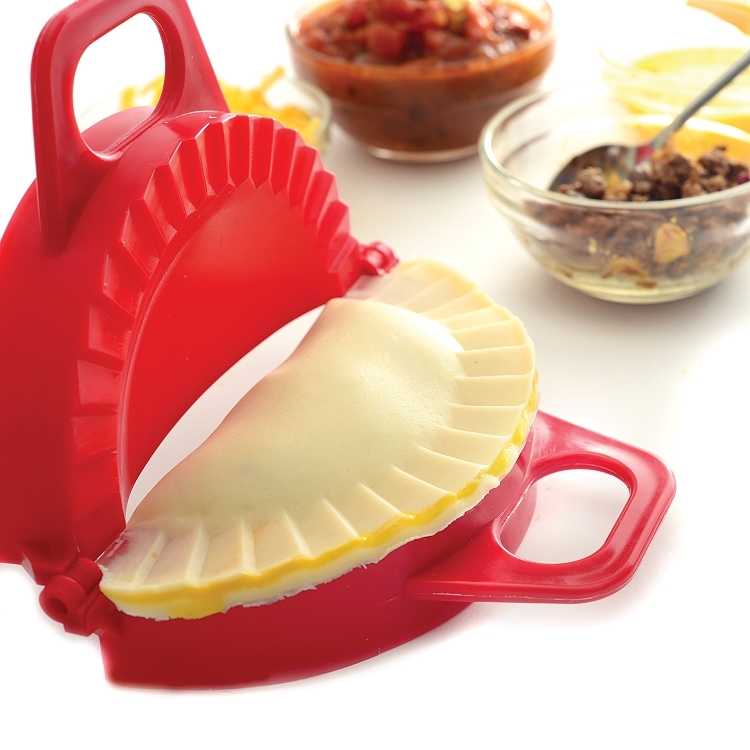 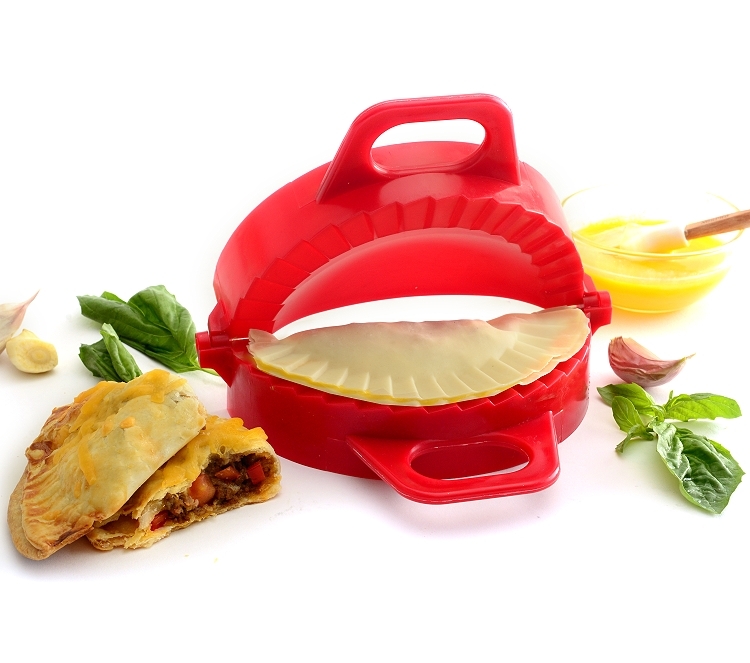 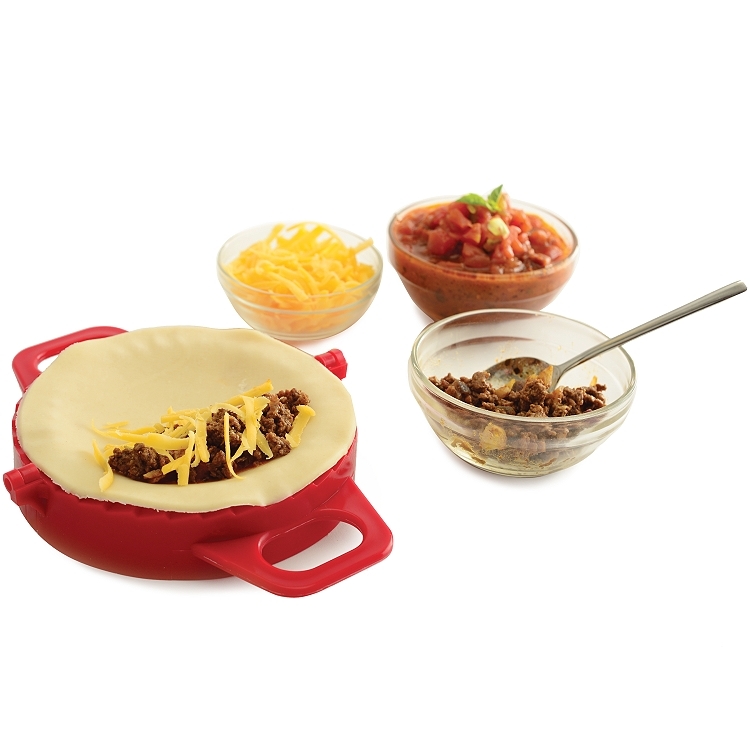 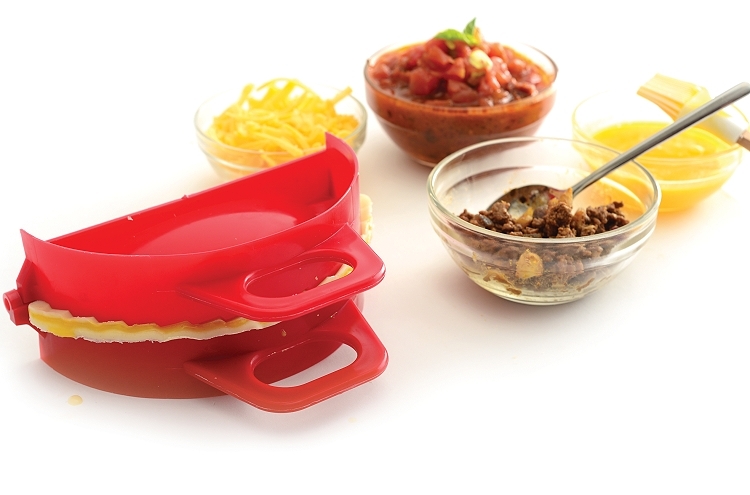 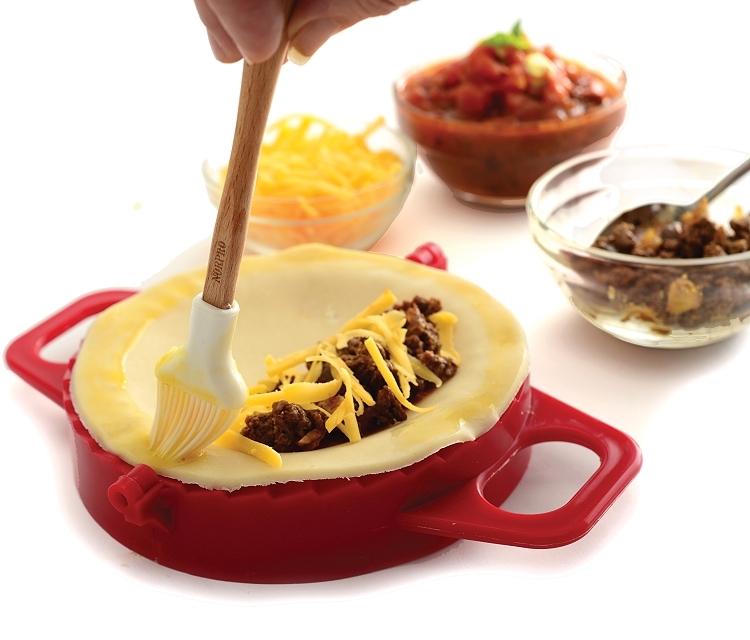 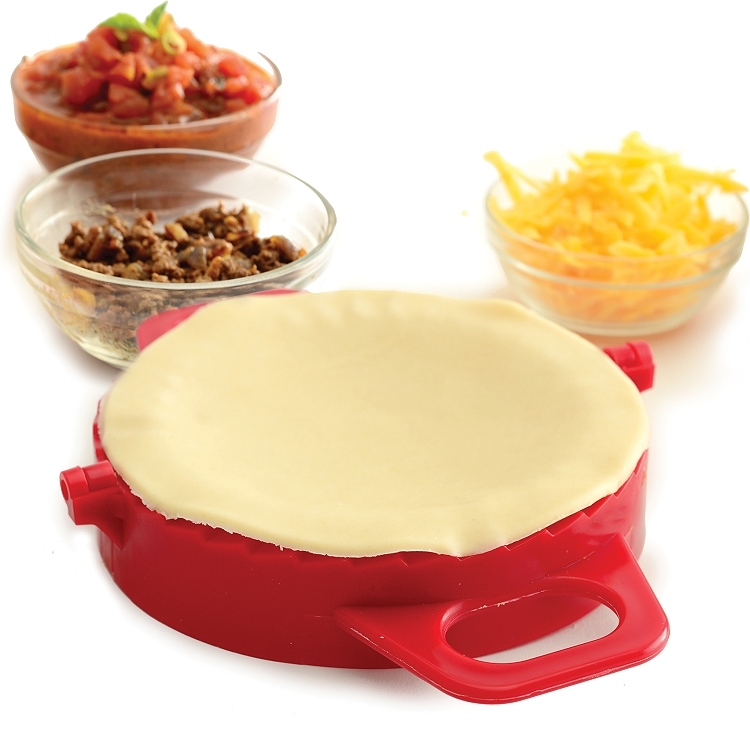 Ideal for making Turnovers, empanadas, calzones or pocket sandwiches. 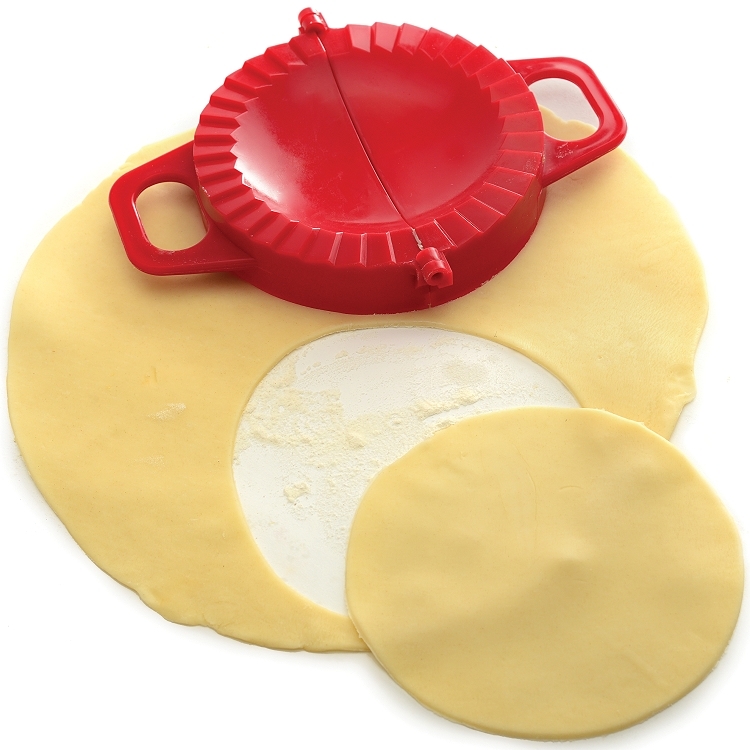 Simply place desired dough into the Turnover Press, add filling and close! 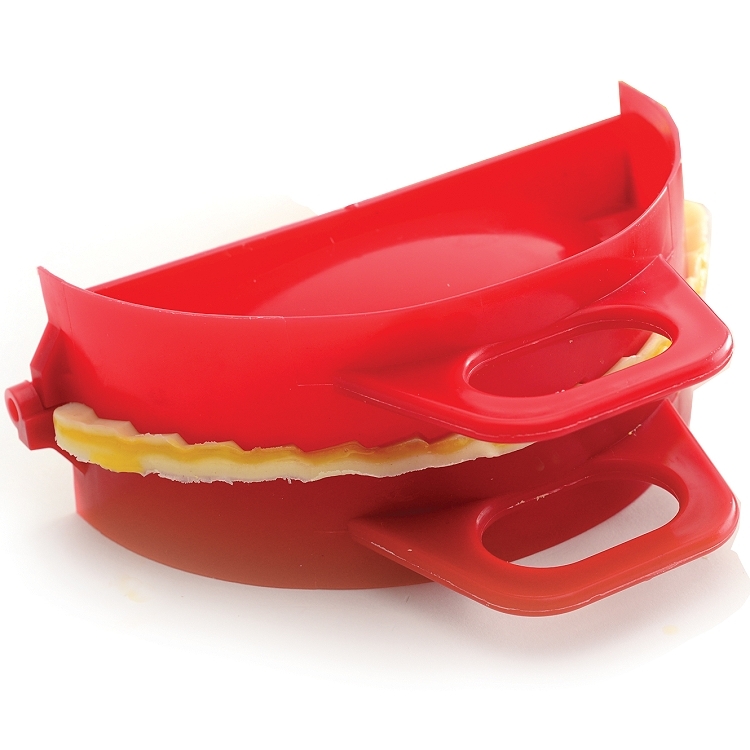 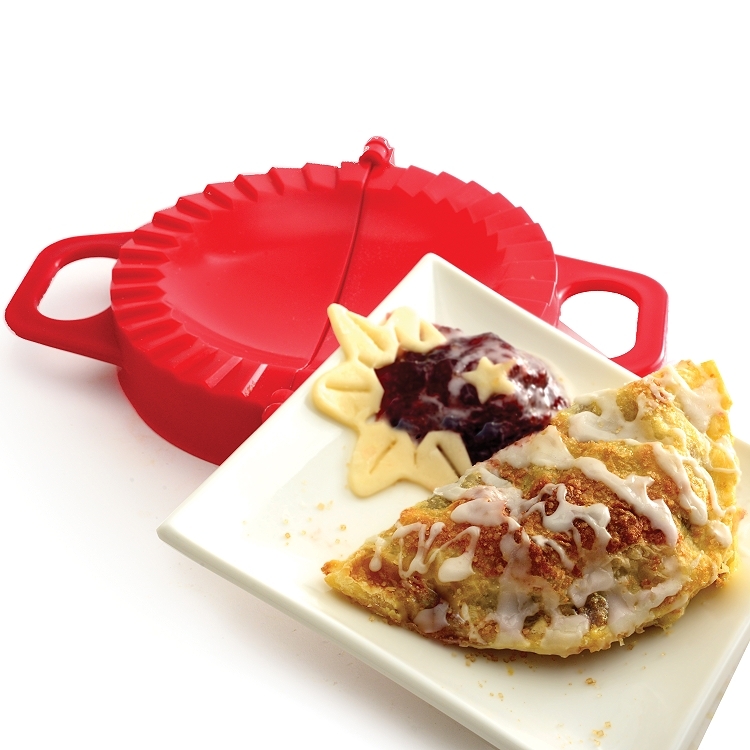 Turnover size: length 6", width 3", height 1 1/8"
Large capacity "pocket" holds more ingredients. 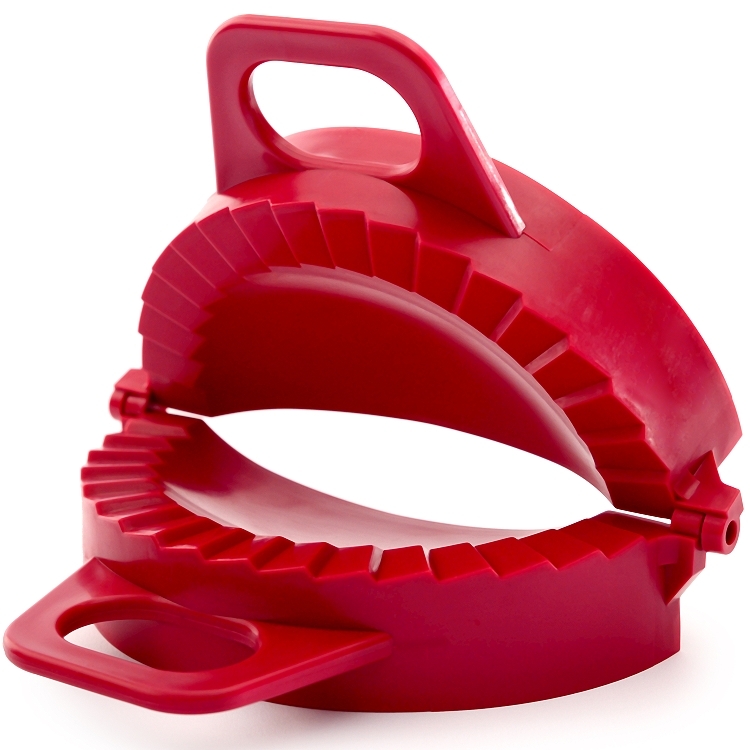 Teeth seal dough with a beautiful fluted edge.